Still responding to the Arab Spring in 2011, many governments in the region have increasingly restricted space for citizens to mobilize and organize. Coupled with severe anti-terrorism measures, many governments impose harsh penalties for speaking out on human rights violations, holding peaceful public gatherings, and questioning authorities and religious teaching. In recent years, an increasing number of political prisoners has been witnessed in Bahrain and Egypt in particular. 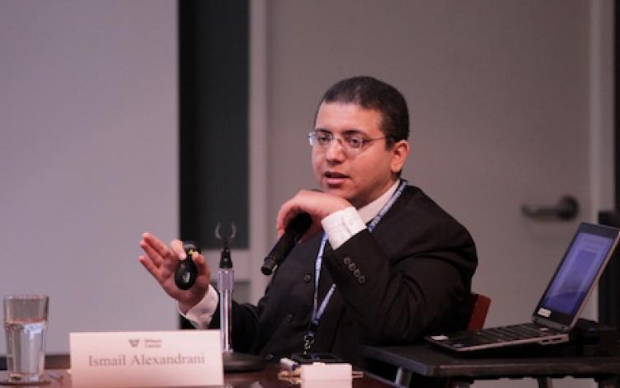 Ismail Alexandrani is a well-known journalist and researcher working on Muslim movement and the Sinai conflict. Alexandrani was sentenced to 10 years in prison on May 22, 2018 on politically-motivated charges of “divulging state secrets” and “membership of a banned group,” for his vocal concern over military action in the contested Sinai Peninsula. 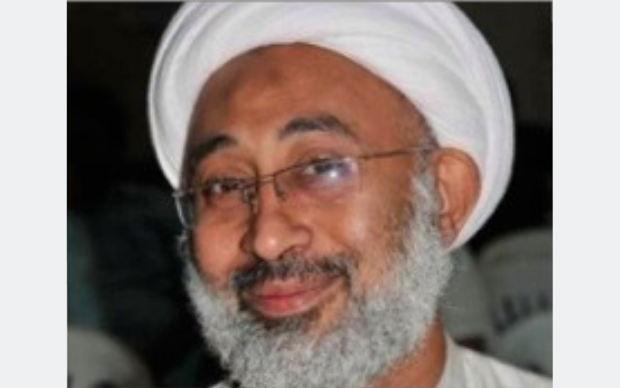 Sheikh Abdullah Isa Al-Mahroos is a religious leader and the Vice President of the Al-Zaharaa Society of Orphans, who was sentenced to 15 years in prison for his involvement in the peaceful 2011 pro-democracy Pearl Uprising. During his arrest, police blindfolded and brutally beat Al-Mahroos in front of his family. He was not permitted to see his wife who died of a chronic disease during his imprisonment. Hisham Gaafar is a prominent Egyptian journalist and the director of the Mada Foundation for Media Development. He was held for three and a half years on charges of “belonging to a banned group and international bribery,” but was never brought to trial. He was released under probationary terms on April 6, 2019, but evidences many health problems due to his inhumane holding conditions, which included routine deprivation of food and water. 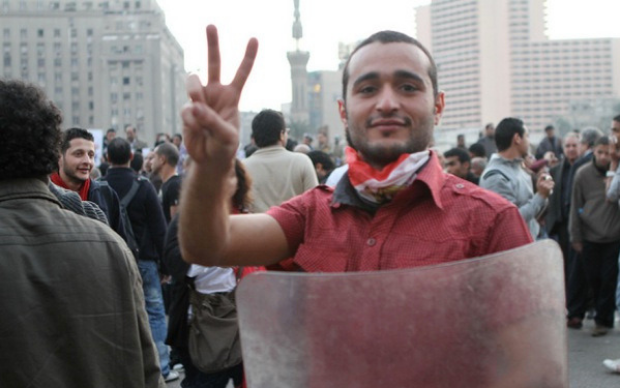 Mohamed Adel was the media spokesperson and founder of the April 6 Youth Movement. He was re-arrested on charges of spreading false news and expressing anti-state sentiments on Facebook. 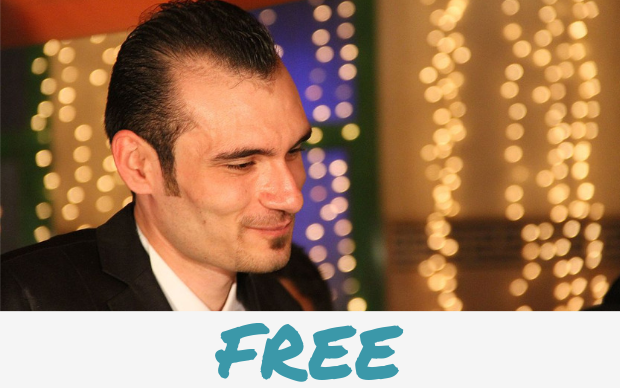 Adel was detained at a local police station where he had been required to spend 12-hours per day since his release from prison—a condition of his three-year probation. Hisham Geneina is the former head of the Egyptian Central Auditing Organization and campaign deputy to presidential candidate Sami Anan. Geneina was arrested for an interview he conducted with Huffington Post Arabi and sentenced to five years by a military court. Only weeks before his arrest, he was attacked and beaten by unidentified men. 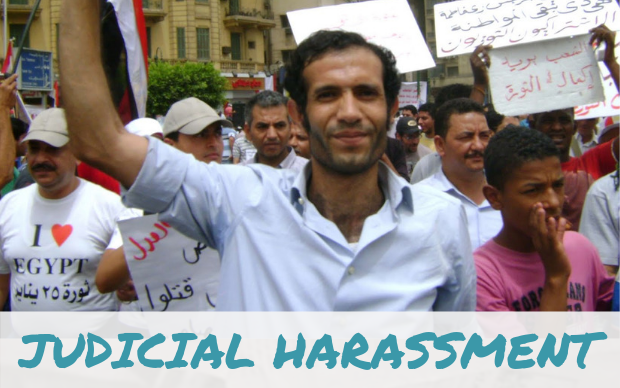 Haitham Mohamedeen is an activist and labor rights lawyer. 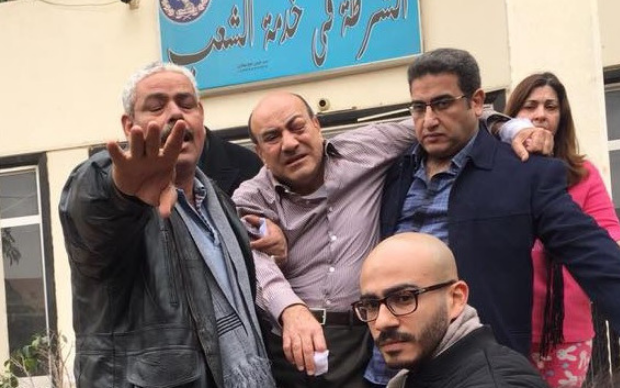 He was detained for five months on charges of “joining a terrorist organization” and “inciting protests.” Throughout the duration of this case, he was forcibly disappeared for a total of 21 days, with no ability to contact his family or lawyer. He continues to face judicial harassment through probationary terms. 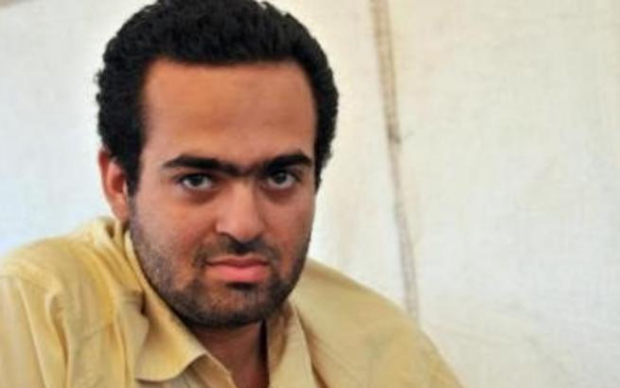 Amr Ali is an activist and former leader of the April 6 Youth Movement, a popular movement that demanded accountability from leaders in Egypt. Ali was released September 18, 2018, but remains restricted under probationary terms. While serving his 3 year sentence, Ali was held in solitary confinement for almost an entire year. 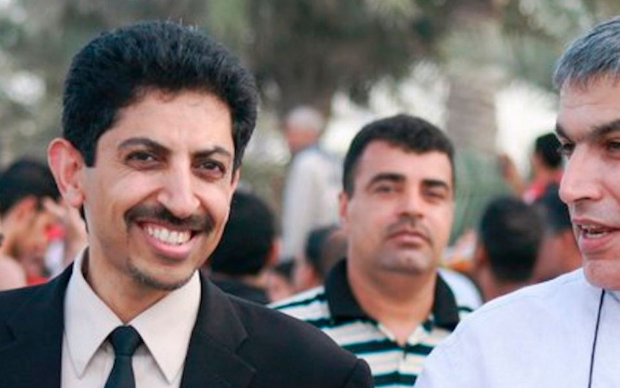 Abdulhadi Al-Khawaja is the Co-Founder of the Bahrain Centre for Human Rights (BCHR). 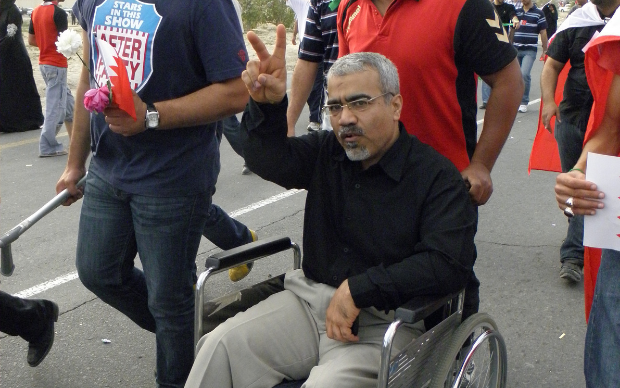 He was sentenced to life imprisonment for his involvement in the country’s peaceful 2011 pro-democracy Pearl Uprising for allegedly organizing and managing a “terrorist organization,” (which most civil society organizations are classified as in Bahrain), and attempting to overthrow the government. 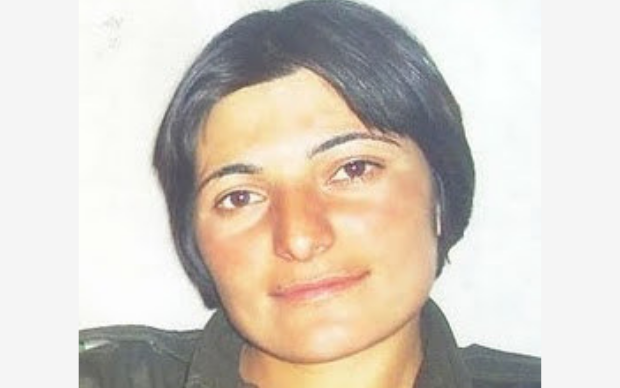 Zeynab Jalalian is a Kurdish Iranian political activist serving a life sentence in Khoy Prison. Arrested in 2007, she was originally sentenced to death (later commuted) by the Supreme Court in November 2009 on the charges of “enmity with God” and cooperation with the Party of Free Life of Kurdistan (PJAK). She has been denied family visits in prison since December 24, 2018 and has suffered torture while in prison. 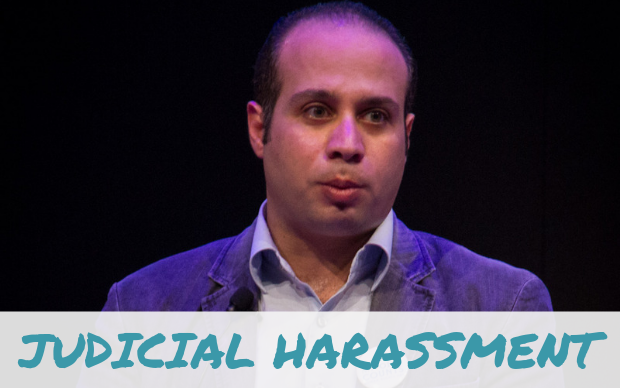 Shady Ghazaly Harb is a doctor and activist detained on charges of “joining a group established in violation to the provisions of the law and the constitution with the aim to disrupt state institutions, spread false news, and humiliating the President” for comments he made on Twitter. He is being detained in solitary confinement at Qanater prison, where he does not have regular access to his family and lawyers. 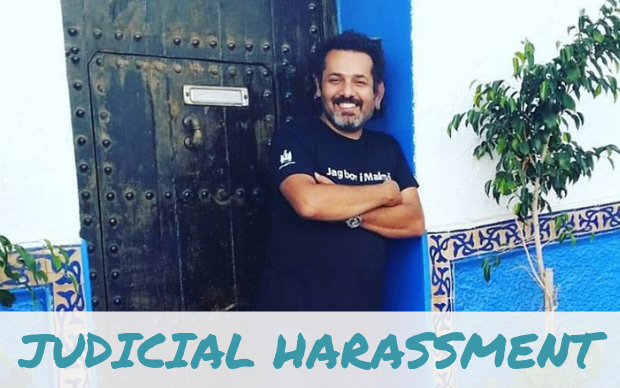 Shady Abu Zeid is a comedian with a “diminutive physical stature and an outsized persona” who uses his platform to explore Egyptian traditions and society with humor. He is charged with “spreading false news” and “joining a banned group.” Despite these catchall charges, it remains relatively unclear as to why Abu Zeid was arrested given his lack of political activism. 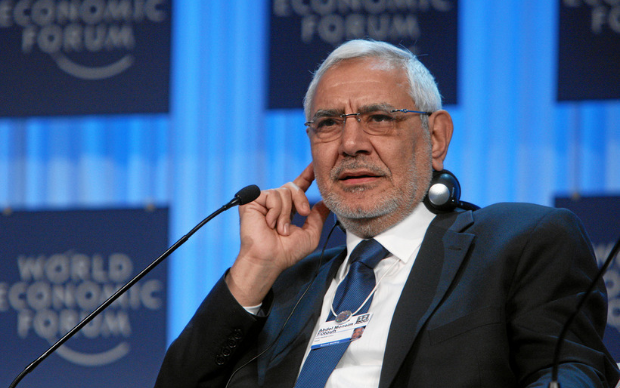 Abdel Moneim Aboul-Fotouh is an Egyptian politician and former presidential candidate. He was arrested on February 14, 2018 for an interview in which he called for a boycott of upcoming elections and has remained in pre-trial detention since. He has suffered four heart attacks while in prison and consistently been denied medical care. 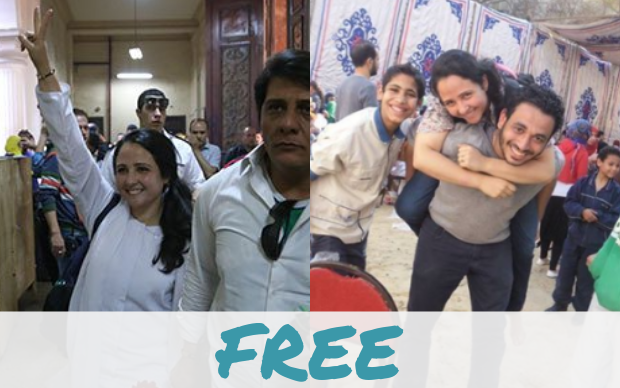 Egyptian authorities arrested 24 Nubian activists, including human rights lawyers Maysara Abdoun and Mohamed Azmy, during a peaceful demonstration. 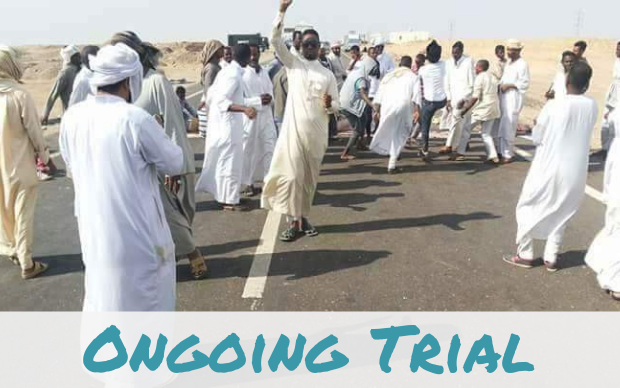 The activists were protesting the forced displacement of Nubians from their historic lands between 1912 and 1964 and are demanding that the Egyptian government grant them “their right to return” per the Constitution. 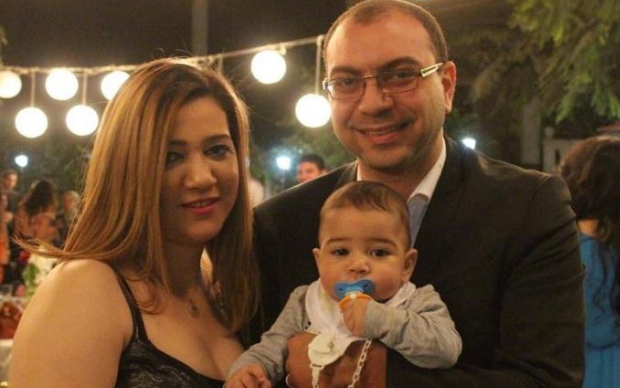 Egyptian-American Aya Hijazi and her husband Mohamed Hassanein are founders of the Belady Foundation for Street Children, which focused on rehabilitating Cairo’s street children through developmental programs. The activists were arrested in a raid and charged with “child abuse,” “human trafficking,” and “inciting and exploiting children to participate in violent protests,” among other charges. They were released after almost 3 years in pre-trial detention. Amal Fathy is a former member of the April 6 Youth Movement and is a women's rights activist. 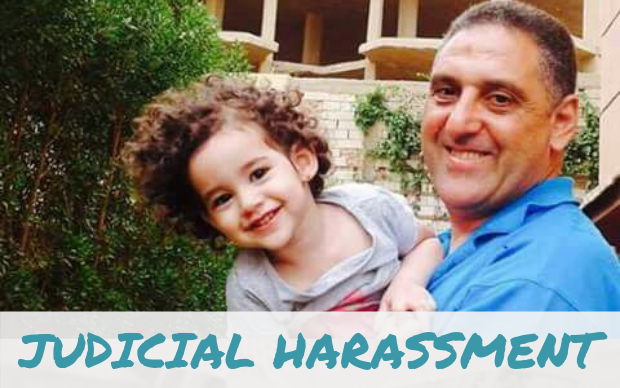 She was arrested and sentenced to two years in prison for posting a Facebook video in which she discusses sexual harassment in Egypt. She also faces charges under a separate case, in which she was questioned about her husband’s non-governmental organization. 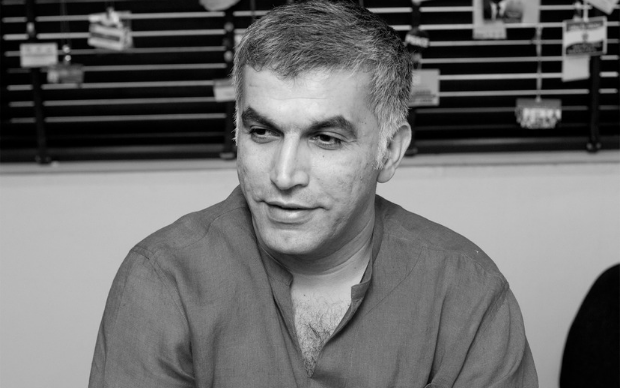 Nabeel Rajab is a prominent human rights defender and President of the Bahrain Center for Human Rights (BCHR). On February 21, 2018, Bahrain authorities sentenced Rajab to five years in prison for his criticism on Twitter of Bahrain’s prison conditions and for condemning Saudi Arabia’s role in the war in Yemen. His health has deteriorated rapidly in prison, and he has been denied medical care on multiple occasions. Abduljalil Al-Singace is an engineer and blogger who managed the blog “Al-Faseela,” which frequently highlighted criticism on the lack of freedom in Bahrain. A military court sentenced him to life in prison for “plotting to overthrow the government” due to his involvement in peaceful pro-democracy protests. In January 2019, he was informed that all future family visits would be conducted through a glass wall. Ahmed Douma was a leading figure in the pro-democracy revolution that forced former President Hosni Mubarak to step down. He was arrested at his home following a protest organized by the No Military Trials for Civilians campaign in defiance of a new restrictive protest law. In 2019, his life sentence was overturned and he was sentenced to 15 years. 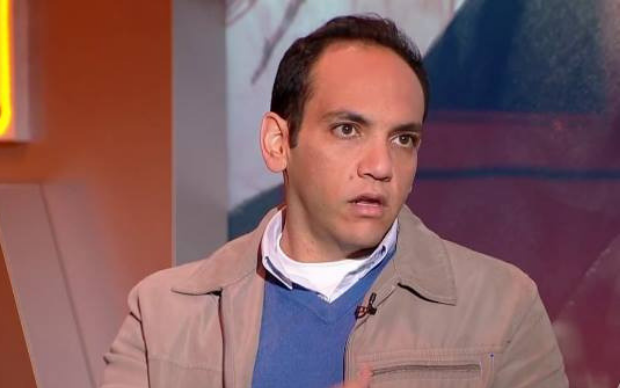 Ahmed Maher is a founder and former general coordinator of the April 6 Youth Movement, an Egyptian political activist group. On January 4, 2017, he was released from jail after serving a three-year sentence and now remains under strict probation. For three years, he will be subject to nighttime surveillance and is required to spend 12 hours per day in police custody. Wael Abbas is an activist and award winning journalist who was imprisoned for seven months. 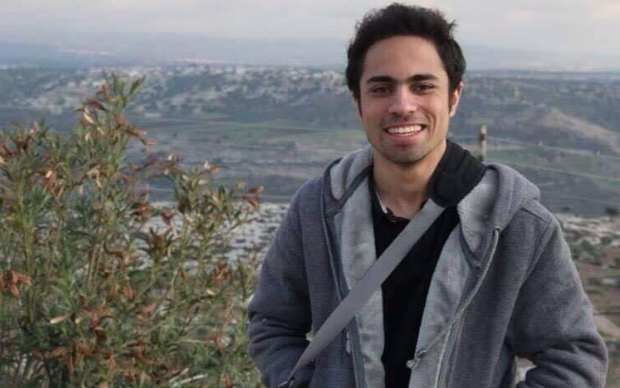 Abbas has documented deteriorating individual freedoms and police brutality in Egypt through his Misr Digital blog, for which he received the prestigious Knight International Journalism Award. He continues to experience judicial harassment under probationary terms.